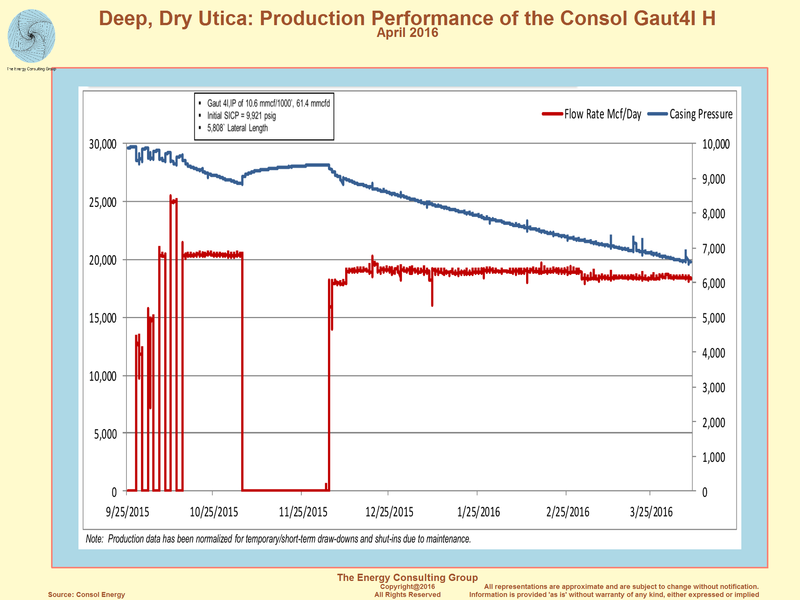 Currently, the northernmost dry Utica super well. 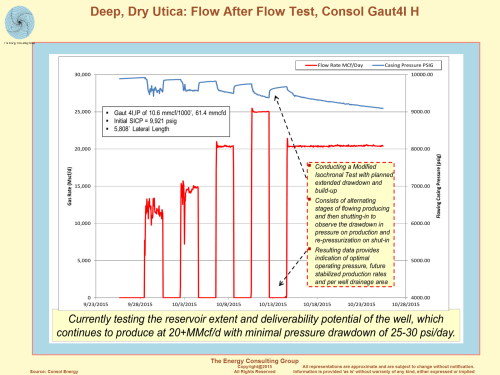 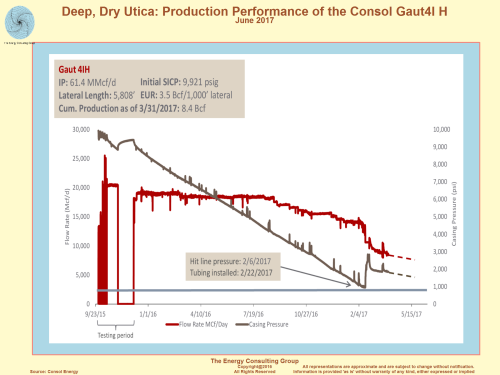 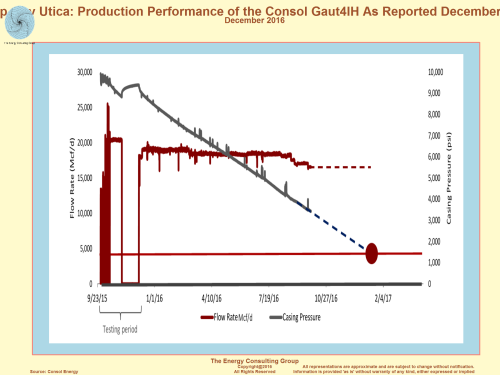 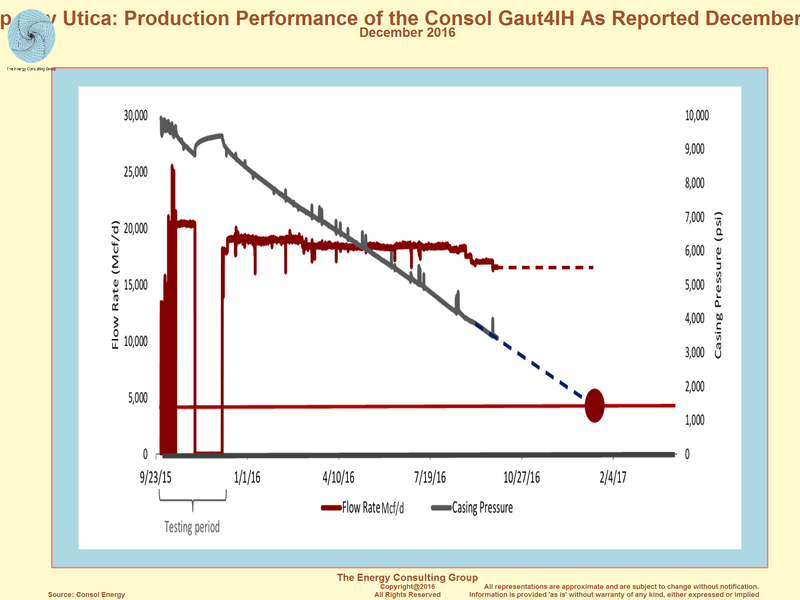 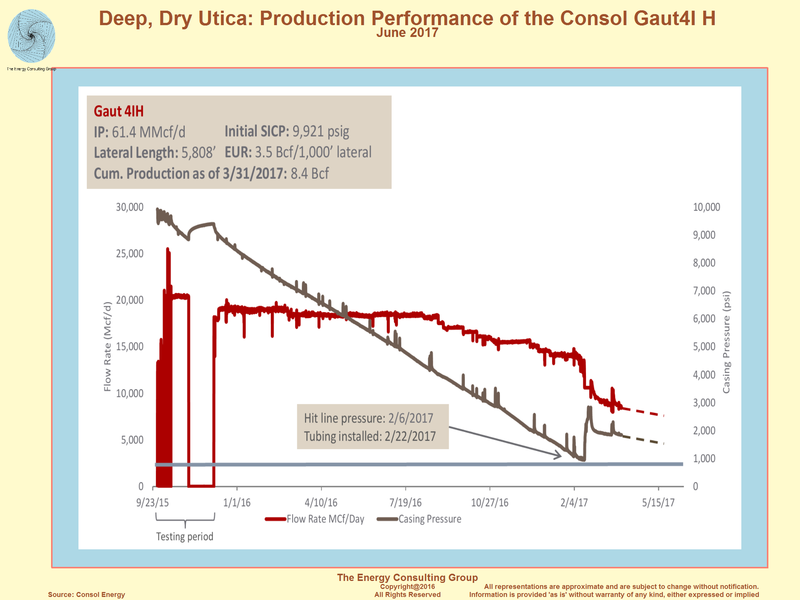 As reported in a transcript of the Consol conference call of July 28, 2015, the Gaut 4IH (or 4IH) had a, " maximum flowing pressures exceeding 9000 pounds and a 24 hour flow rate in excess of 61 million cubic feet a day. During the 24 hour flow test, the pressures never dropped below 7500 pounds." 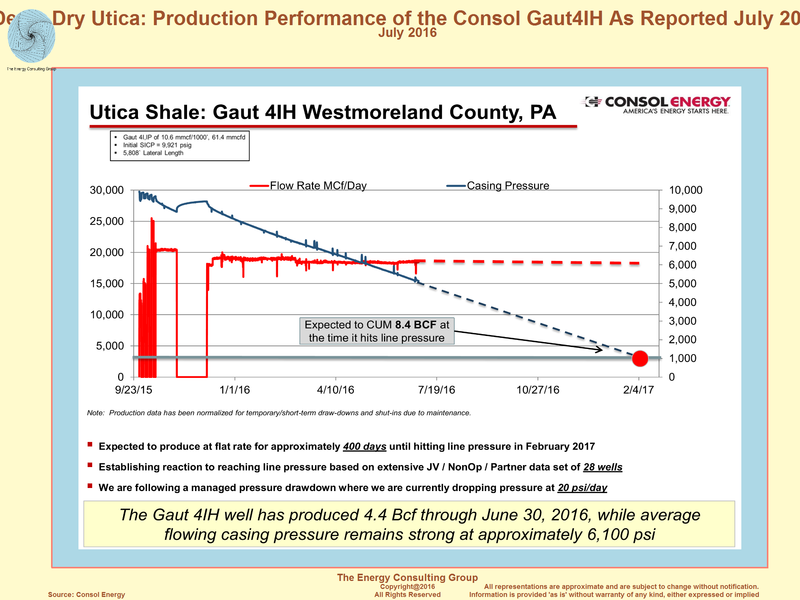 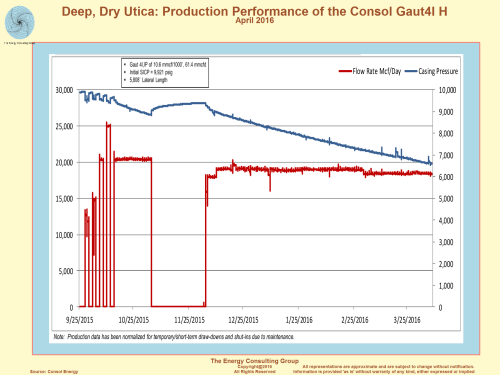 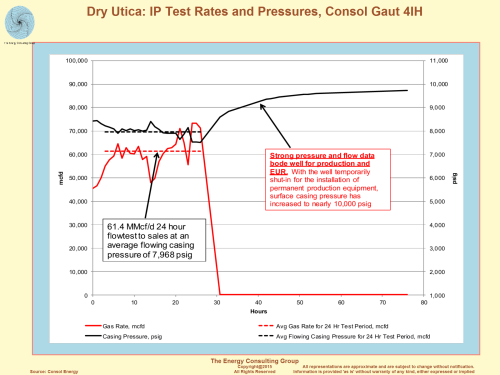 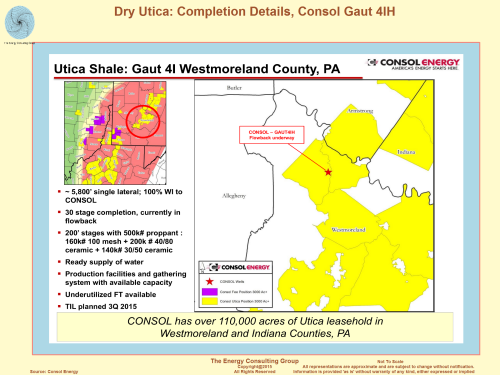 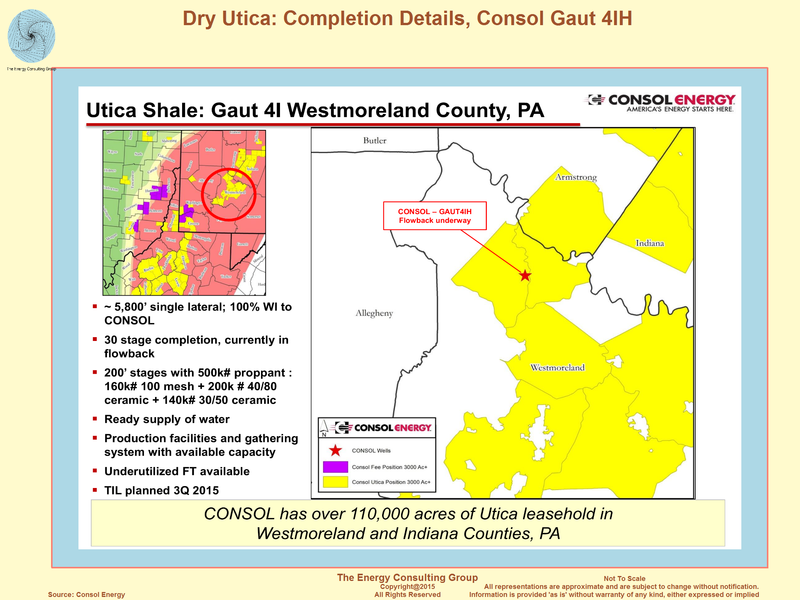 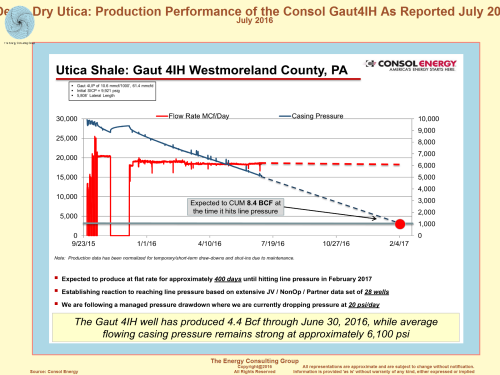 Click Image for Larger Version Rate and Pressure Date for the Consol Gaut 4IH (or 4IH) 24 hr well test. In short the rate and pressure data are strong. 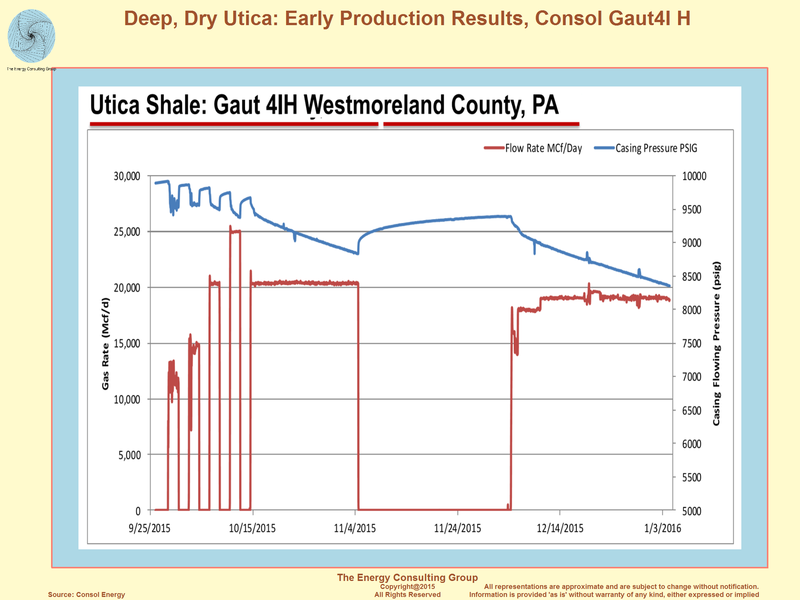 In fact, it seems to us the executives quoted to the left, underplayed just how strong this well is and the implications associated with it being a 50 mile stepout versus the other high volume dry Utica wells to the southwest.